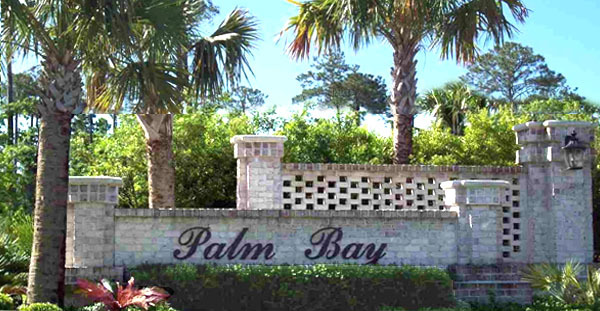 Palm Bay is part of a subdivision of Prince Creek's gated communities called "The Bays", located in Murrells Inlet. 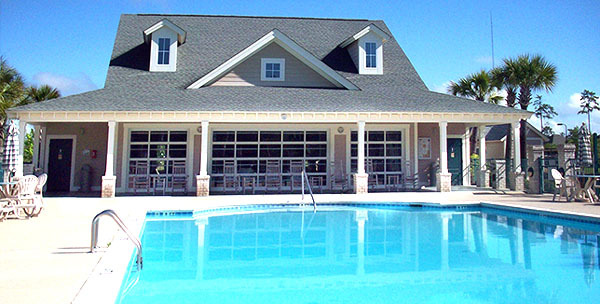 This family-friendly and lavish development offers a huge array of amenities including a clubhouse with fitness room, two pools, a park with tennis courts, volleyball and basketball courts, a covered outdoor picnic area with fire pit and grilling areas, large playground, and landscaped walking and biking trails throughout the community. Palm Bay was developed by DR Horton. 3, 4, or 5 bedrooms homes feature an array of luxury upgrades and have attached 2 car garages. Homes are priced from the upper $200,000’s to $400,000 or more. This is a newer neighborhood and there are still lots available for between $50,000 and $100,000, as well. Residents love the convenient location that provides easy access to incredible shopping, dining, entertainment and golf selections. The stunning saltwater estuary, Marsh Walk and the historic village of Murrells Inlet are about 4 miles away. The Village is known as the “Seafood Capital of the South” and waterfront restaurants offer the best fresh seafood and Low Country cuisine. Nearby, Atalaya Castle, Huntington Beach State Park, Brookgreen Gardens are popular tourist destinations. The only TPC golf course in South Carolina calls Prince Creek its home, and Palm Bay is located at the entrance of the course. For boating enthusiasts, the Wacca Wache Marina is also near the development. Our real estate professionals are waiting for your call. Contact us today and schedule a tour of the beautiful homes in Palm Bay at Prince Creek.